The Yanacocha gold mine did not exist when Reinhard Seifert first moved to Cajamarca, Peru in the 1970s. Back then, the mountainous region in northern Peru was a blank spot on the map for most foreigners; an area rarely visited, barely known and ranked as one of the poorest in the nation. Everything changed in 1993, when Denver-based Newmont Mining Corp. opened Yanacocha and spurred a modern gold rush of sorts. The open pit operation quickly became the second largest gold mine in the world, producing an estimated $7 billion USD worth of gold to date, and the region’s population exploded. 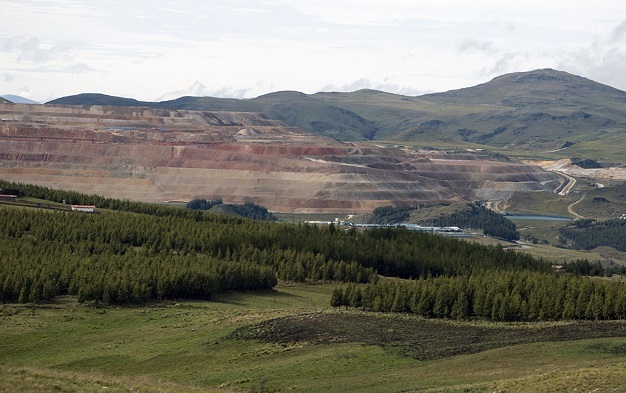 Newmont’s investment in the Andes proved profitable. So much so, that in 2011 the company proposed expanding its operations with a megaproject known as the Conga mine. The new project was instantly met with relentless, sometimes violent, anti-mining demonstrations, and four years later, the Conga mine expansion remains on hold under environmental review. Throughout this period, Seifert played a pivotal role in the anti-mining movement as former president of the Environmental Defense Front of Cajamarca. Seifert, a German-born environmental engineer who specializes in hydrogeological science, spent years researching the effects of gold mining on the region’s water supply. At times, traces of arsenic, lead, cyanide and mercury were found in the fresh water supply; all chemicals that have been linked with rising gastrointestinal cancers among Cajamarcan residents and mass trout die-offs in the region’s rivers. In effort to document these events, Seifert recently published his second book: Yanacocha: ?El sue?o dorado? Tomo II or Yanacocha: The Golden Dream? Volume II, in which he presents the history of the Yanacocha mine along with its environmental and social impacts on the region. From political alliances and water quality tests to the manipulation of local media outlets and personal attacks, Seifert tells the story of modern gold mining through cold, scientific analysis and heated first-person accounts. Today, as Cajamarca remains one of the poorest regions in Peru even after 20 years of gold extraction, Seifert poses the question: If Europe can modernize its mining techniques and limit environmental degradation, why can’t Peru? The following is an interview conducted with Seifert in January of 2015. (Translated from Spanish by Diego Cupolo). Q: Yanacocha: The Golden Dream? Volume II is your second book on the environmental impacts of gold mining in Cajamarca. What are you trying to achieve with your second effort? In Peru, there is little serious discussion about the quantity and quality of water that is affected by mining technology. Fortunately, the study of water is an exact science. One can objectively measure the pollution and destruction of water sources. This is how I have oriented my second book; by focusing on the latest scientific and technological developments regarding the Yanacocha mine,while also trying to aid the search for viable alternatives. Newmont’s reports only talk about impacts, not about pollution. These are totally different concepts. One thing can be considered safe while the other can be very harmful in the long run. Q: The development of the Conga mine has been blocked since 2011. What has happened in Cajamarca in the last four years in relation to the environmental movement and the mining companies? Besides, the Peruvian legal structure exclusively favors foreign investment over clean drinking water. There is a clash between private industry (mining) and the common good (water). For the time being, we now have kind of truce and both sides are waiting for a change in government after the 2016 elections.Yes, it’s true there have been many demonstrations and protests against the Conga mine to the point where there were five deaths in July, 2012. However, when the strategy and tactics are unclear, little can be achieved by social movements. Newmont defends private investment and the people defend their water. Up until now, there has been no bridge of understanding between the two. Q: Many activists in Cajamarca believe that blocking progress on the mine over a long period of time will end up costing Newmont more money than they can afford to continue with the project. Do you think this strategy is working? No, it’s not working because the social movement is divided by partisan, personal and other kinds political reasons. 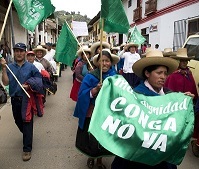 Image: Protest Against Conga Mine Project, 2012. In Cajamarca, we call the lack of social license a “lack of respect,” which is how the people have understood it. If you disrespect someone for many years, the idea of a “social license” does not work. If you mistreat and lie to your neighbor for many years, then you can’t expect to build a good relationship overnight. 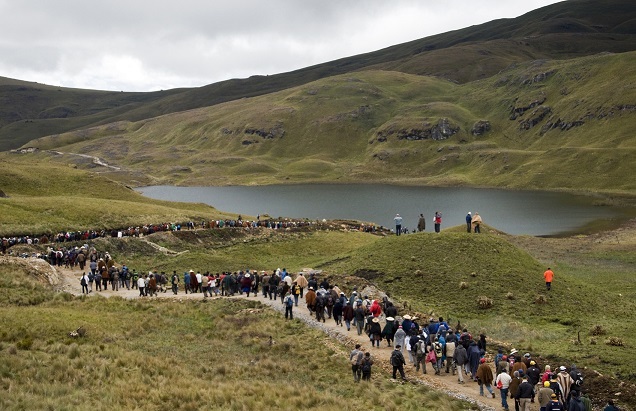 It will be difficult for Newmont and Yanacocha to regain the social confidence they have lost. The lawsuits that have been filed regarding water pollution in Cajamarca were archived and forgotten despite an abundance of scientific evidence. Why? 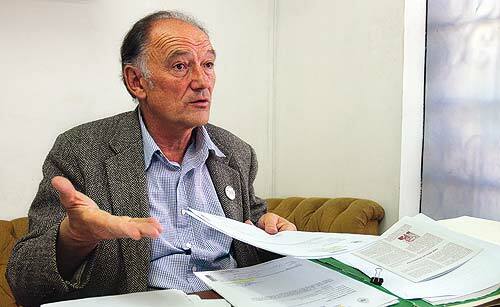 Because of the notorious corruption among Cajamarcan judges and prosecutors. Most of them don’t confront the mine and in exchange they receive some perks. In these cases, all claims end up falling on deaf ears and, therefore, they are not investigated as they should be. Newmont believes achieving social license is simply a matter of communicating all the “good” they have done so far. They do not realize or do not want to accept that pollution and destruction aren’t fixed with cheap propaganda. Q: In recent years, what role has the federal government played regarding the anti-mining protests in Cajamarca? What about the regional government? The federal government ignores the issue. It’s trying to waste time and pass this hot potato to the next government. For now, there is a good relationship between the government and the people of Cajamarca, especially considering it offered a higher investment in the region than usual, which was in excess of 5 billion soles [over $1.6 billion US dollars]. Still, we have not seen these funds in Cajamarca. The regional government is tainted with corruption despite the fact that regional president won re-election with the slogan “Steal, but defend the water.” The federal government has just set aside about 45 million soles [$14.7 million US dollars] for the Cajamarcan regional government in its 2015 fiscal year, which means about 30 soles [$9.82 US dollars] per person for the year. What is that? Obviously, nothing. 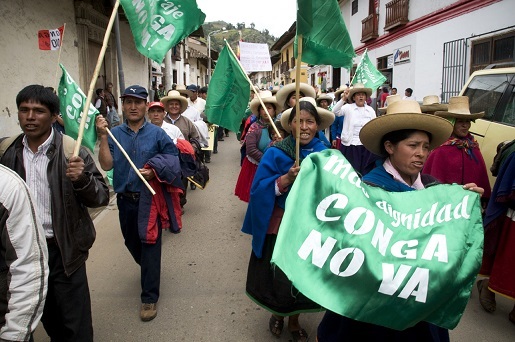 Image: World Water Day Protest Against Mining in Cajamarca. Q: In your book, you write about the influence of corrupt media on the mining debate and you give a personal testimony on the matter where you were called an “ecological terrorist” by the local press. Can you briefly describe your experiences with the Peruvian press? To be brief, this chapter was the most difficult for me to write because it touched the innermost fibers of my existence. The Peruvian press and a high percentage of Cajamarcan media are linked to the Yanacocha mine and are corrupt. They collect money while blatantly lying about everything that is happening in Cajamarca. And worse, they practice defamation and slander against their opponents, who do not want anything but a serious and meaningful discussion on the benefits of mining. Q: You have received threats on several occasions during your career as an activist. Can you describe some of your experiences and how your personal safety is affected by your work? Of course. They send encrypted messages, even to members of my family. One way to silence a person is to denounce them with the help of corrupt prosecutors and judges. Having been in this fight for more than 20 years, I have received roughly 18 legal complaints and lawsuits. In some cases, I have been sentenced for defending the water, for example, when I write and publish critical articles on the matter. In this way, Newmont uses judicial power in their favor, especially, to silence those who protest against them. Q: Do you believe that the recent legal ruling regarding Maxima Acu?a Chaupe, a Cajamarcan who won a property rights case against Newmont, will have an impact on future negotiations between residents and mining companies? No, not at all. This was an isolated case. The corruption of public officials in Cajamarca continues in full force. Undoubtedly, the legal registration of land is in Newmont’s favor and functions with the full complicity of corrupt officials in Cajamarca. There are few official legal protections for private entities, such as Newmont, which was and remains the case with Maxima Chaupe. But this lawsuit is not over yet. Newmont has appealed the ruling and it will continue in Lima. To give another example, the protection of the 780 lagoons in San Pablo, which has been required by the municipality in Cajamarca since 2003, has yet to be implemented. The judicial powers in Lima have not acted on the matter. This is a clear example of how the influence of Newmont is very strong the courts and proof that the idea of “justice” always leans in favor of the mines. Q: At the end of your book, you say you would like to write a third book on the Yanacocha mine. What topics would you like to include in Volume III? Yes, on the protection of Cerro Qullish in 2004 and the vigorous social movements that are defending the last clean water reserves that we have left for the city of Cajamarca. I want to write this story. This was an extraordinary and unique struggle for the people of this world, where for the first time in all the history of the five continents where Newmont operates, the mining company had to back down on its ambitions. There is no other event like it. I will publish this reality very soon. Q: Finally, where can we buy your book? Also, would like to add any additional comments? My book is sold exclusively in Cajamarca and is distributed by the National University of Cajamarca. In closing, I would say the Peruvian state rarely follows its own environmental laws. This is obvious. The state acts like a little brother to transnational corporations, such as Newmont, allowing the big brother to make all the decisions. Past coverage of this issue can be seen in a series on resistance to mining in Cajamarca, Peru, written by Diego Cupolo and Alice Bernard.